Feels Like Coming Home. The South's Warmest Welcome. Mississippi has a population just shy of three million people, making it the thirty-second most populous state in the nation. It is also the thirty-second largest by area. Outside of the Mississippi Delta, the state is heavily forested. However, inside the Mississippi Delta, the forests were cleared, and this gave way to more flood-prone areas. These more rural areas are dominated by the catfish aquaculture farms and other large industrial farms. Mississippi produces most of the catfish that the nation consumes each year. The state has the nicknames of “The Magnolia State” and “The Hospitality State.” It is known for its friendly people, warm hospitality, and diverse economy. Mississippi is home to several thriving cities and a lot of more rural areas, and this appeals to people. Local living depends largely on where you choose to settle down. Mississippi has big cities, smaller towns, tight-knit communities, and more rural areas to settle in. However, no matter where you choose to settle, you'll get a taste of the warm hospitality that this state is well known for. The people are friendly, and the diverse culture makes Mississippi an excellent choice for anyone who is looking to start fresh or take a break from the faster pace of life elsewhere. Many people move to Mississippi because the cost of living is well below the national average with housing being one of the biggest factors in this lower cost of living. Additionally, the large cities all have very diverse economies, and they're thriving. Mississippi is also home to several top-ranked colleges, and the education opportunities draw the younger generations to this state. People who want to retire are also driven here by the lower cost of living because it's easier to afford their necessities with the lower cost of living and housing. People also move from Mississippi for a few important reasons, and the state is leading the nation in numbers for young people leaving the state. Even though Mississippi's larger cities have diverse economies, the job market is limited, especially for people who have degrees in special education or education in general. People leave because they're looking for higher-paying jobs or because they want out of the more urban environment that surrounds much of the state. Also, portions of the state have more radical views, and people find the environment unwelcoming, and this sends to other states to work and live. Many people find the state an attractive option to settle in. People who are established in their careers and want a change find Mississippi more attractive. Also, the state has a high population of retirees due to the lower cost of living and the affordable housing market. People who want to raise their families in a stable economy and want to be able to afford a decent-sized home for a lower cost come to Mississippi as well. Mississippi's real estate market didn't show signs of trouble until the first quarter of 2007 when it went from a quick climb to a plateau that lasted until the fourth quarter of 2007 when the market went into a gradual peak. The first quarter of 2008 brought the housing market's first and highest peak. Once the market peaked, it went into a gradual fall that rose into another peak in the first quarter of 2009. As this peak came and went, the market went into a gradual fall. It fell without any significant peaks until the second quarter of 2010, when it rose to another slight peak. This peak dropped off until the second quarter of 2011 when it rose up once again. This peak fell away by the fourth quarter of 2011, and it rose into one more peak in the third quarter of 2012. This was the final peak before the market hit another plateau that lasted until the third quarter of 2013. Once this plateau ended, Mississippi's real estate market finally hit its lowest point in the fourth quarter of 2013. However, once it hit this low point, it started to rise at a steady pace. It rose until it peaked slightly in the first quarter of 2015, and this was followed by a slight drop that recovered quickly. It rose at a steady pace until it peaked slightly again in the first quarter of 2016. This peak leveled off, and the market continued its rise. The fourth quarter of 2016 saw Mississippi's real estate market higher than it was at before the housing market collapsed. Jackson, Mississippi had a slightly more rocky real estate trend. It started to show signs of trouble as early as the first quarter of 2006. This was the point where the market transitioned from a steady climb to a more gradual rise. This continued until the first quarter of 2007 when the market went into the first of three peaks. The first peak fell and rose into a second peak in the first quarter of 2008. This was the highest point of Jackson's housing market, and it fell to rise into another peak in the first quarter of 2009. Once these three peaks were over, the market began a gradual but rocky fall. It hit its first post-housing market crash peak in the third quarter of 2010. This peak plateaued slightly before going into another gradual fall and rise in the fourth quarter of 2011. This peak fell away, and the housing market fell to its lowest point in the second quarter of 2012. This low point didn't last long, and the market quickly rose to another peak by the third quarter of 2012. This peak leveled off into another plateau that lasted until the third quarter of 2013. At this point, the market went into a slight peak before dropping off again. The second quarter of 2014 brought another peak and drop, and this rose another gradual peak rising in the first quarter of 2015. This gradual peak dropped off once again, only to rise into a steep peak during the first quarter of 2016. Currently, the market has dropped slightly down, and it has been slightly higher than it was before the housing market crash several times. As of the first quarter of 2016, the market reached higher levels than it was before it crashed, and it's stayed higher than it was. On the historic real estate trends, both Mississippi as a whole and Jackson had similar trends. The start of the 1990s saw the real estate markets hitting a stable stretch that had a consistent rise. The first quarter of 1992 saw the first slight peak in the housing market that leveled off into a slight plateau until the first quarter of 1993. This period marked another steady rise in the real estate market that continued until it hit a slight peak and drop in the first quarter of 1995. This slight peak and drop resolved, and the market continued its climb. The third quarter of 1996 and the second quarter of 1999 brought more slight peaks that fell away. Mississippi's real estate market went into the 2000s on a slightly lower point that lasted until the fourth quarter of 2000, when the market picked up and started to climb once again. This climb continued until the market dropped slightly during the second quarter of 2012. The market recovered quickly once again, and it climbed until the first quarter of 2005 when it switched from a more gradual climb to a steep one. This steep climb continued until the first quarter of 2007. This quarter brought the first peak of the housing market collapse. Homeownership across the state has ranged between 70% and 75% for most of the past 33 years, though there have been a couple short-term peaks and valleys. In 1994 ownership stood at 69.2%. Ownership then trended upward to a peak of 75.2% in 2000. In 2003 ownership dipped to 73.4% before reaching a pinnacle of 78.8% in 2005. Since the Great Recession ownership has declined most years & stood at 69.7% in 2016. In spite of the declines, local ownership is still much higher than the national average, which stood at 63.4% in 2016. The state of Mississippi has several large, diverse, and thriving cities that are home to tens of thousands of people. The largest city in the state of Mississippi is Jackson with 169,148 people, and it is also the state's capital. Jackson is part of the biggest Jackson Metro, and there is a combined population of 579,229 people. Jackson has the slogan of “The City With Soul” in honor of its rich musical history with jazz, blues, gospel, and folk music influences. The city got its name in honor of President Andrew Jackson in order to recognize his role during the Battle of New Orleans in the War of 1812. Jackson has a large service, retail, service-based industry. As this is a capital city, it also has a very large influence from the government sector. In addition, the city has a large electrical equipment and manufacturing industry, along with primary and fabricated metal products, and processed foods. All of these various industries make up for a very diverse, strong economy that has plenty of opportunity for growth and expansion. Jackson's climate zone is classified as a humid continental climate, and the city has rainfall year round with the spring and winter months being the wettest seasons the city experiences. July is the hottest month of the year with temperatures staying in the 90s, and January is the coldest month of the year with temperatures staying in the 30s. In addition to this, Jackson is located in an area that is prone to thunderstorms that can be severe with strong winds, large hail, heavy rainfall, and ground lightning. There are several cultural points of interest scattered throughout Jackson, and these include museums, performing arts groups, music venues, and pretty public gardens. The Mississippi Sports Hall of Fame and Museum is an excellent way for any sports fans to spend the day, or you can take the entire family and visit the Mississippi Children's Museum. The Jackson City Rhythm and Blues Festival is a large music festival that takes place in August, or you can visit Battlefield Park. You can check out current events at the city's official tourism website. The Jackson Public School District serves this city with over 60 schools and 30,000 students, and Jackson is also home to international headquarters of Phi Theta Kappa. There are several colleges and universities students can attend as well like Jackson State University, which is the region's only doctoral-granting research university. Students can also attend Antonelli College, or they can choose to go to the Mississippi College School of Law. 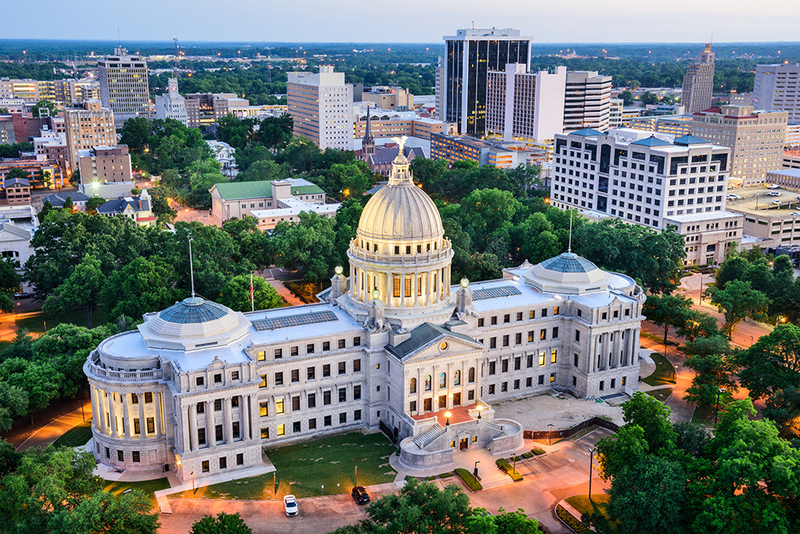 The city has a strong government base that contributes to the economy, and the State of Mississippi is the largest employer with 31,556 employees. The second-biggest employer is from the education industry and the University of Mississippi Medical Center has over 8,000 staff. Finally, the company that claims the third biggest employer is Nissan with around 6,000 employees. Although Jackson has a diverse economy, it has an unemployment rate that is higher than the national average. However, it has also had recent job growth over the past year by over 3%, and this could help to strengthen the current economy. Over the next ten years, Jackson's economy could get even stronger as the city is estimated to add 40% in additional jobs. The local median home price for Jackson is currently around $54,200, and this averages out to a price per square foot of $75. These prices have increased over the past year by 1.1%, and they're estimated to go up another 2.1% in the coming year. The Jackson Meto has a local median home price of $133,500 with an average price per square foot of $112. Gulfport is the second biggest city in the state of Mississippi with a population of 72,076 people. 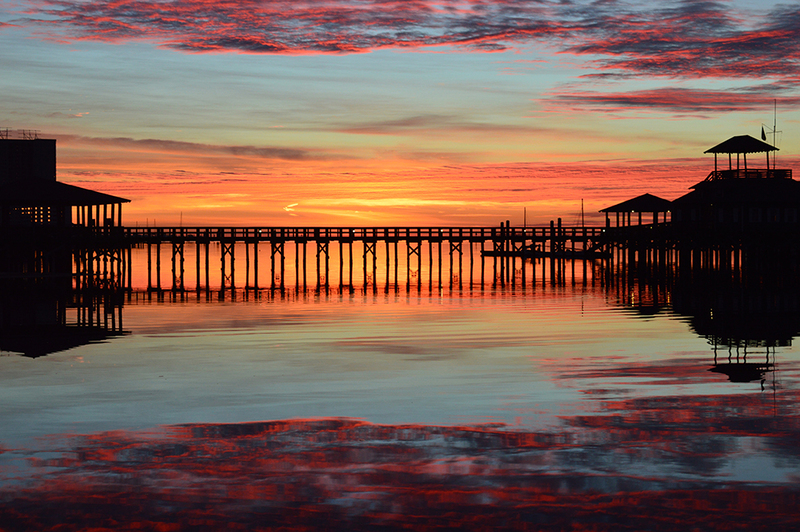 It is also the biggest city in the larger Gulfport-Biloxi-Pascagoula Metro with a population of 391,266. The US Navy's Atlantic Fleet Seabees are located in this city, and the government has a large influence. In 1898, Gulfport was incorporated by William Hardy, who was acting as president of the Gulf and Ship Island Railroad. Gulfport was established as a busy seaport, and it still generates millions of dollars for Mississippi each year. 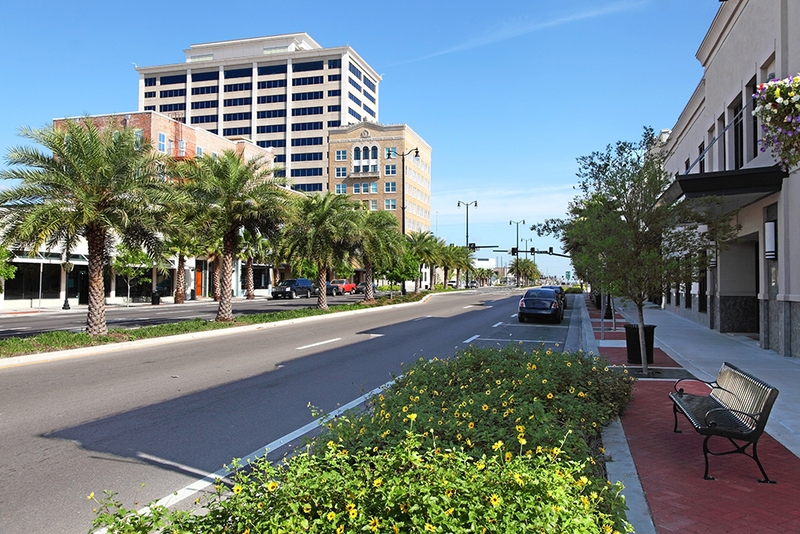 Gulfport has evolved over time into a diverse and thriving economy. The government, education, healthcare, gambling, and finance make up large portions of the economy. The seaport is also a huge source of revenue, both for the city and the state as a whole. Tourism plays a vital role, with thousands of people drawn to this city each year. You'll experience a humid subtropical climate that is moderated heavily by the Gulf of Mexico. July is the hottest month, and it typically has temperatures in the mid to high 90s. January is usually the coldest month, and temperatures stay in the 40s. Gulfport additionally doesn't get any snow, but it has rainfall year round. Gulfport has several museums, festivals, music events, and attractions that draw a large variety of tourist year round. The Institute for Marine Mammal Studies is located here, and this large aquarium has dozens of exhibits. The Busted Wrench Garage Museum showcases the history of classic cars and the Cruisin' the Coast festival also celebrates classic cars. The World's Largest Fishing Rodeo takes place here as well. The city of Gulfport is served by the Gulfport School District, and it has over 6,000 students enrolled. It is also served by the Harrison County School District with 14,000 enrolled students. The University of Mississippi has a campus here for students to attend for secondary education as well as the Jefferson Davis Campus of Mississippi Gulf Coast Community College. The diverse economy of this city is reflected in its three biggest employers, and the biggest employer in Gulfport is the Naval Construction Battalion Center with 5,500 staff members. The second biggest employer in the city is Memorial Hospital with 3,300 year-round staff members, and the third biggest employer is Harrison County School District with 1,800 staff members. Gulfport is a city that has an unemployment that is over 2% higher than the national average, but this may change shortly as it has had job growth over the past year of over 1.6%. Additionally, over the next ten years, the city estimates that it will add 35% more jobs to the economy, and this may help to lower the unemployment rate and improve the overall economic health of the city. The local median home price in Gulfport is currently $159,250, and this price averages out to around $95 per square foot. These prices have increased over the past year by 3.2%, and it's projected to go up by another 5.8% in the coming year. The Gulfport Metro has a local median home price of $112,800 and an average price per square foot of $96. Southaven claims the spot for the third biggest city in Mississippi with a 2016 population of 53,214. Southaven is part of the Memphis, TN-MS-AR Metro, and the Metro has a population of 1,342,842 as of 2016. This city is the principal city of this Metro, and it is considered to be a suburb of Memphis, Tennessee. The city got its name because is it located south of Whitehaven, and Whitehaven is a neighborhood that is located in Memphis. Southaven's economy is very diverse, and healthcare, education, tourism, and service-based industries make up the economic sectors. Retail also plays a large roll in the economy's health, and the city is home to a large shopping mall. There is a small airport in Southaven as well, and this draws tourists to the city. Southaven is an excellent place for small businesses and restaurants to open as well. The climate in this city is humid subtropical, and this means very hot summers with drier fall months, and the winter months are cool and dry. July and August are the hottest months of the year with temperatures in the 90s. December and January make up the coldest months, and temperatures usually stay in the 30s. This city doesn't see snow much, and if it does, it's usually gone within a day. The Southern Professional Hockey League team is based out of Southaven, and the city has a large sports following. Tourists come to the city to see the Memphis Hustle, or to take in a game at the annual Dizzy Dean Baseball World Series. The BankPlus Amphitheater at Snowden Grove is an excellent performance venue, or you can take a day trip and visit the Landers Center. Southaven has the DeSoto County School District for primary education students to attend, and it has over 30,000 students. There are two colleges and universities for students to attend, and they can attend the University of Mississippi – Desoto or the Northwest Mississippi Community College. These two colleges have a variety of degrees and courses students can take. The DeSoto County School District is Southaven's largest employer, and it has over 2,000 staff members. The second biggest employer in this city is Baptist Memorial Hospital-Desoto with 1,500 staff. The city's third biggest employer is the Southaven Towne Center with 900 full time staff. Southaven's economy is strong, and it has an unemployment rate that is below the national average. It has also seen recent job growth over the past year of 3.5%, and this has helped to boost the economy. Over the next ten years, the economy is looking to get even stronger as it adds 42% more jobs. This city has a local median home price of $114,500 with a $92 price per square foot. These prices have risen over the past year by 1%, and they're projected to go up by another 8.7% in the coming year. The Memphis, TN-MS-AR Metro has a local median home price of $122,900. This price averages out to a $86 price per square foot. Hattiesburg has a population of 46,926, and this makes it the fourth biggest city in the state. In addition to this population, Hattiesburg is part of the Hattiesburg Metro, and this area has a population of 149,138 people. In 1882 William H. Hardy founded this city and named it in honor of his wife, Hattie. In 1884, the town was incorporated with 400 residents, and it was a hub for lumber and the railroad. The government and education make up the two largest sectors in Hattiesburg's economy as there is a training base in the city. There are also several national business headquarters in the city as well, and they employ thousands of people. Retail, manufacturing and tourism are three other important economic sectors. The climate of this city is classified as a humid continental climate with humid and hot summers and cool, dry winters. July is when the temperatures get the hottest, and they stay in the 90s. January is the coolest month in this city, and temperatures get in the 30s. The Saenger Theatre hosts several performances each year, and tourists or residents can take in the Mississippi Miss Hospitality Competition. The Lucile Parker Art Gallery is another popular destination, along with the De Grummond Children's Literature Museum. The Hattiesburg Municipal Separate School District is the public school district in this city, and it has over 4,400 students. Students can also attend two separate higher education campuses in the city. They can choose the University of Southern Mississippi or William Carey University. The largest employer in Hattiesburg is Kohler Engines with over 2,000 employees. The second biggest employer is Camp Shelby, and it has 1,500 staff. Finally, the city's third biggest employer is the Hattiesburg Municipal Separate School District with over 1,000 staff. Hattiesburg is a city that has an unemployment rate that is higher than the national average. However, Hattiesburg has also had recent job growth of over 4%, so the economy is moving in the right direction. Over the next ten years, this trend is projected to continue as Hattiesburg is looking to add 40% more jobs to the local economy. The local median home price for Hattiesburg is $134,300, and this price works out to around $89. Both of these prices have gone up over the past years by 3%, and they're estimated to rise by another 3.2% during the coming year. The Hattiesburg Metro has a local median home price of $132,400 and a price per square foot of $91. The fifth biggest city is Biloxi with a population of 45,975 people, and the Gulfport-Biloxi-Pascagoula Metro has a population of 391,266 people. 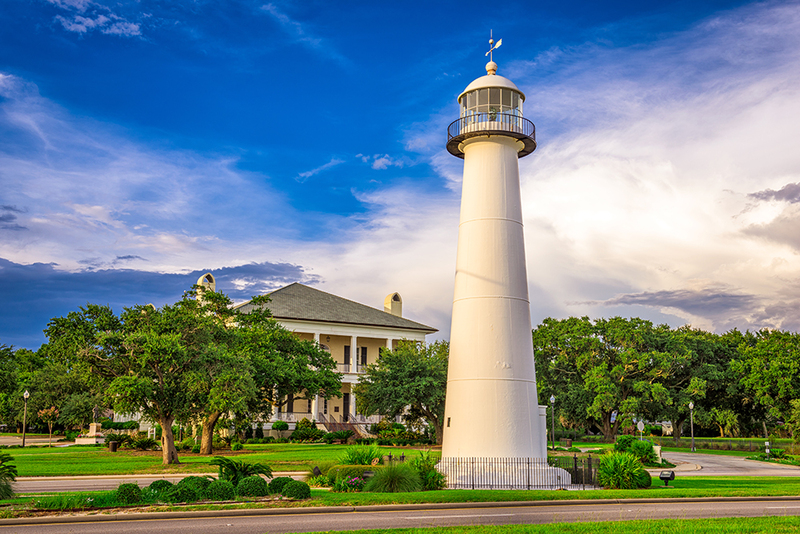 Biloxi has a rich cultural history, and it was settled by the French in 1699. This city has undergone several transformations to become the thriving city it is today. 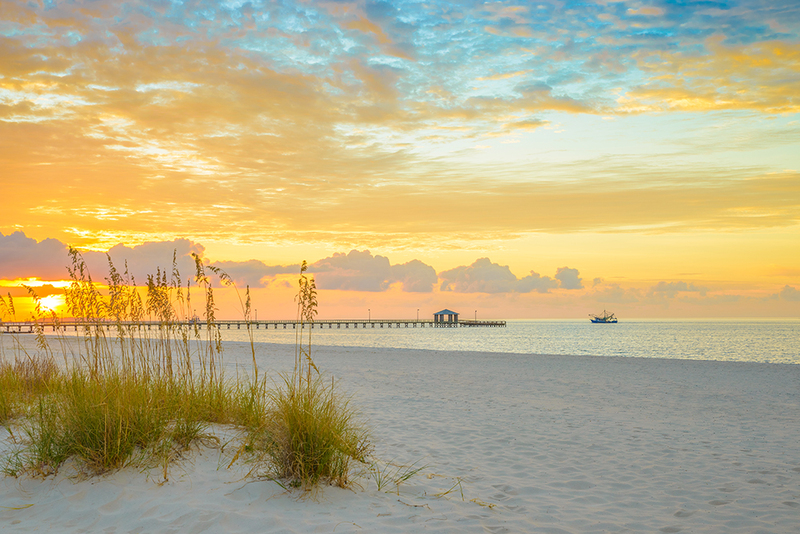 Biloxi's economy heavily revolves around tourism, the seafood industry, gaming, and healthcare. It is a prime vacation spot for hundreds of people each year, and the gaming industry has been a huge source of revenue for the city since 1999 with the introduction of several large casinos and resorts. The local crime rate is quite low considering it is one of the largest gaming sites in the country. Beautiful beaches and deep sea fishing in the Gulf of Mexico are a big draw. A humid continental climate dominates this area, and temperatures soar into the 90s during the summer months with high humidity. The winter months bring cooler temperatures with no snow and light rain. The spring and early summer months are the wettest of the year, with the fall and winter months being drier. This city is served by the Harrison County School District and the Biloxi Public School District. There is also a large Catholic school system in Biloxi, with over fifteen schools. For secondary education, students can attend the campus of Virginia College. The biggest employer in Biloxi is Harrison County School District with 1,800 staff members. The second biggest employer is IP Casino Resort & Spa with over 1,000 staff. The third biggest employer is the Beau Rivage Resort & Casino with 850 staff. The city has an unemployment rate slightly higher than the national average, but it is projected to add over 40% more jobs in the next decade. Keesler AFB and growth of the tourism industry are projected to continue strengthening the employment outlook. The local median home price for Biloxi is $104,600, and this works out to an average price per square foot of $107. These prices have increased in the past year by 3%, and they're on track to increase another 5.2% in the coming year. Mississippi may be well known for its farmland and ranches, but it also offers popular urban areas. Jackson, Gulfport, Biloxi, Southaven, Natchez and Vicksburg are the larger cities in the state. As with so many urban areas, however, the most popular cities are often just outside the larger urban areas. Brandon has a population of 23,826 and is a convenient, 15-minute drive to the state capital Jackson. Boasts several parks for nature lovers. The crime rate is very low. Possibility of government employment in nearby Jackson. Olive Branch has a population of 36,699 and is located near the border Tennessee, only 30 minutes from Memphis. Area enjoyed strong recent job growth. Local colleges, professional schools and golf courses are available for residents. Time magazine ranked the city as the #5 best place to live in 2017. The City of Ridgeland has a population of 24,483 and is a suburb of Jackson, boasting a 15-minute commute. Convenient shopping, golf courses and Crafts Center. Many other local indoor & outdoor attractions. According to the United States Census an estimated 2,988,726 people live in the state of Mississippi. The state has 46,923.27 mi² of land area, which gave it a population density of 63.69 per mi². Here is a list of cities, towns, villages & Census Designated Places with more than 2,000 residents, with their estimated population as of June 2016 & the 2010 United States Census. For Census Designated Places (CDP) where there was no population estimate available for 2016, the 2011-2015 American Community Survey 5-Year Estimates data was used. As of 2019 the conforming loan limit across the United States is set to $484,350, with a ceiling of 150% that amount in areas where median home values are higher. High local affordability makes the $484,350 ceiling apply statewide for single unit homes. Dual unit homes have a limit of $620,200, triple unit homes have a limit of $749,650 & quadruple unit homes have a limit of $931,600. People buying premium properties in the Jackson area may be above these thresholds, requiring a jumbo loan. Jumbo loans typically have a slightly higher rate of interest than conforming mortgages, though spreads vary based on credit market conditions. Several different types of home loans are available in The Magnolia State. Fixed-rate loans are very common, and the terms include thirty, twenty, fifteen, and ten years. The longer the life of the mortgage, the lower the monthly payment will be, which is why the 30-year loan is the most popular. The downside of this, however, is that the APR is higher compared to shorter-term loans. The difference can be as large as a full percentage point. Fixed interest rates are guaranteed for borrowers who are taking out large mortgages. Interest can not be charged more than one day prior to the mortgage being recorded, regardless of when the loan is actually received. Lenders are prohibited from making loans that the borrowers can not reasonably afford to repay. Lenders may not charge points and fees exceeding 6% of the principal financed amount. In addition to conventional 30-year and 15-year fixed-rate mortgages, lenders offer a wide variety of adjustable rate mortgages (ARM’s). While these instruments have lost some of their attractiveness during the recession, there are still circumstances where they offer the only way for a borrower to qualify. Properly structured (that is, with strict limits on how much the rate can fluctuate), such loans are still a legitimate way for borrowers to purchase a home and start building equity while establishing their credit so as to qualify for conventional loans upon the ARM’s expiration. These loans provide interest rates that fluctuate, as the name implies. The APR is usually fixed for an initial term, such as three, five, seven or ten years. Then the rate adjusts depending on the performance of a referenced index rate, usually once per year; but it can change more frequently. The loan agreement may state in detail how frequently the APR can change, and it may also include a rate cap to prevent large changes. Balloon mortgages are another route for aspiring homeowners. Balloon mortgages are when a large portion of the borrowed principle is repaid in a single payment at the end of the loan period. Balloon loans are not common for most residential buyers, but are more common for commercial loans and people with significant financial assets. A few lenders in the state offer interest-only loans, but usually only for periods of three years. These are mortgages where payments are applied only to interest for a period of time. The loan's principal isn't paid down, so the monthly payments are very low. The low monthly payments only lasts a few years, however. Typically, it's about three years. After this period, monthly payments spike because the loan's principal hasn't been reduced & the remainder of the loan must be paid off in a compressed period of time. For example, on a 3 year IO 30-year loan, the first 3 years are interest only payments, then the loan principal must be paid in full in the subsequent 27 years. When qualifying for a loan, a credit score of 720 or better can help secure a favorable loan. Some mortgage lenders have approved borrowers with credit scores around 640. The best rates and deals will be obtained with a score above 740. There is a lot of competition among lenders, and this environment can create nice perks for borrowers. For example, some banks will offer special deals on closing costs for borrowers who qualify. The cost might be added to the mortgage or the bank will pay the closing costs but add a few basis points to the APR. A debt-to-income ratio of 40% and a down payment of 20% are what most banks want to see on a home loan application. They will accept worse numbers, but fees and APR's could go up as a result. Also, a down payment of less than 20% typically results in required mortgage insurance. This down payment requirement does not apply for Federal assistance programs such as FHA, in which applicants can have a lower credit score and income but still receive financing. The piggyback loan is another type of mortgage which is simply two mortgages in one. The piggyback loan can eliminate the need for private mortgage insurance by covering 80% of the home's value with the first loan, while the second loan helps to pay for part of the down payment. Prospective home buyers who don't find what they're looking for at one of the state's private banks may want to take a look at some of the mortgage options the federal government offers. One of them is the loan program at the Veterans Administration, which provides mortgages with zero down. On top of that great deal, VA loans do not require private mortgage insurance. The agency does, however, charge a funding fee, and this varies from 1.2% to 3.3%. Making a voluntary down payment will reduce this charge. And in case you're wondering, yes you do have to be a qualified veteran to get one of these unbeatable deals. If you're not a vet, you may want to consider the Federal Housing Administration's home loan services. The FHA offers loans to people who have a credit score of at least 580 and who can put at least 3.5% down. The government agency also offers mortgages for lower credit scores, but it requires more money down with these loans. USDA loans can help people with low incomes in rural parts of the state qualify for a subsidized low-interest loan. Given the low population density throughout most of the state, most areas qualify. Mississippi has several programs designed by the state to help people afford to purchase a home. Whether they need lower interest rates or down payment help, these programs can help. The HOME Investment Partnership Program is aimed at low and very low-income households. The goal of the program is to help provide sanitary, safe, decent, and affordable housing options for people who can't afford a traditional mortgage. Applicants will have to meet income and purchase price requirements in order to be considered eligible. This program can provide closing cost and down payment assistance as long as the applicants are not trying to purchase a home in Mississippi's “entitlement” areas, and these are outlined in the program. There are also grants for reconstruction and home repairs to make the property safe and habitable. This program is designed for low and very low-income households, and the goal of the program is to get them into the habit of saving money for a home. For every dollar the participant saves in a special account, the program will give either $1, $2, or $3 in funding. Once the applicant has completed the program, they can take the money they're saved and use it to purchase a home. There are eligibility requirements for this program, and the household will have to fall below the income limits. The applicant also has to be a first-time homebuyer, complete a homebuyer education course, and make your scheduled deposits into your account. If you do this, you'll be able to use the funding to pay for a down payment or pay closing costs when you purchase a home. Smart Solution, a 30-year fixed loan with competitive interest rates coupled with a 3% to 4% down payment assistance option. HAT, a housing assistance program for local teachers. Some cities and counties also offer local programs worth exploring. Homeowner's insurance policies typically do not cover flooding. Many counties across the state have a very low to moderate risk of flooding. Counties with moderate, high & very high risk are listed below. Typically, homes built after 2002, when building code regulations tightened, are subject to lower insurance rates than older homes. On the other hand, homes without hurricane straps, with roofs that do not meet current standards for wind, with older plumbing or with outdated electrical systems may be difficult  or very expensive  to insure. Most of the state is considered to have a moderate to very high tornado risk. A basic homeowners policy should cover financial damages from tornadoes. Hail damage is not uncommon across the state. Damage from hail is typically covered by home insurance policies. In 2016 Mississippi charged a below average property tax rate of 0.86% compared to the national average rate of 1.24%. Low property prices combine with the low property tax rate to make local homeownership quite affordable. The state collects an average of $508 per year in property taxes. This amount equals out to be about 1.11% of the property owner's yearly income. The county that collects the highest property taxes currently is Madison County, and it collects $1,204 per property, per year. The county that collects the lowest property taxes is Amite County, and it collects $281 per property, per year. The median single family home across the state was valued at $143,357 in 2016, yielding an annual assessment of $1,236. In Jackson the median assessment for single family homes was $1,424. The Home Saver Program was designed to provide mortgage assistance to people who have lost their jobs unexpectedly or their hours have been cut. The goal of the program was to prevent foreclosure and help the homeowner keep their home until they gain employment or they can pay their mortgage. Applicants could get funding to pay for six months' worth of back mortgage payments and funding to pay for 12 months' worth of mortgage payments. The applicant must be delinquent on their mortgage, or they must be in danger of losing their home to qualify. The applicant has to occupy the property as a primary residence, and they must have documented proof of financial hardship. This program was discontinued on May 31, 2017, though if there is another market downturn another similar program may be unveiled. The state of Mississippi allows mortgage lenders to foreclose on properties using the judicial and nonjudicial process. However, it is important to note that most mortgage lenders choose to go through the nonjudicial process because it can be faster than going through the court system. There is also less red tape, and it allows for more flexibility in how the entire foreclosure process goes. Non-judicial foreclosures are allowed and more commonly executed in Mississippi. With these proceedings, the lender notifies the homeowner 30 days before a scheduled sale with a Notice of Default. The homeowner can halt the sale by paying the amount in default. This must be done before the date of the sale. There is no rights of redemption in Mississippi. Some states will allow homeowners a set period of time after a foreclosure sale is completed in which they can pay the default amount and reclaim their home. The State of Mississippi does not allow this. Once the foreclosure sale is finalized, ownership of the property transfers to the new buyer. The original homeowner will not be able to reclaim the home after the sale by paying the defaulted amount. Mississippi also allows mortgage lenders to sue a homeowner if they have a deficiency once a property sells at the end of the foreclosure process. This makes Mississippi a recourse state. However, in order for the mortgage lender to sue a homeowner for a deficiency judgment, the highest bid at the foreclosure sale or auction must be reasonable in comparison to the property's fair market value. The mortgage lender has one year from the date of the foreclosure sale to sue the defaulted borrower for a deficiency judgment. If it is granted and the mortgage lender wins the deficiency judgment, they may collect the debt by garnishing the borrower's wages, levy their bank accounts, or put a lien on any other property the borrower may own. Advertising is required. The foreclosure sale must be listed in a local newspaper for the county that that land is located in. This sale ad must run for three consecutive weeks before the sale can take place. A notice must be posted at the county courthouse door. This notice is required to list all borrowers who are on the title. The Cure Procedure allows the borrower to stop the foreclosure by paying the money that is in default. This can include the missed payments, accrued costs, and legal fees. While the lender may be calling the full loan due, if the missed payments and fees are paid in full the foreclosure will be halted. Mississippi offers special procedures when a homeowner has been affected by a major disaster. When the governor declares a natural disaster of any kind, a moratorium is imposed on foreclosures. This can extend for up to two years after the declaration of disaster. This can benefit homeowners who find that their property value has fallen by fifteen percent or more and find themselves unable to refinance the property. Lenders can still file foreclosures, and if the borrowers do not respond by obtaining an injunction under this provision, the foreclosure will stand. Check out the following resources to learn more about the Mississippi real estate market.